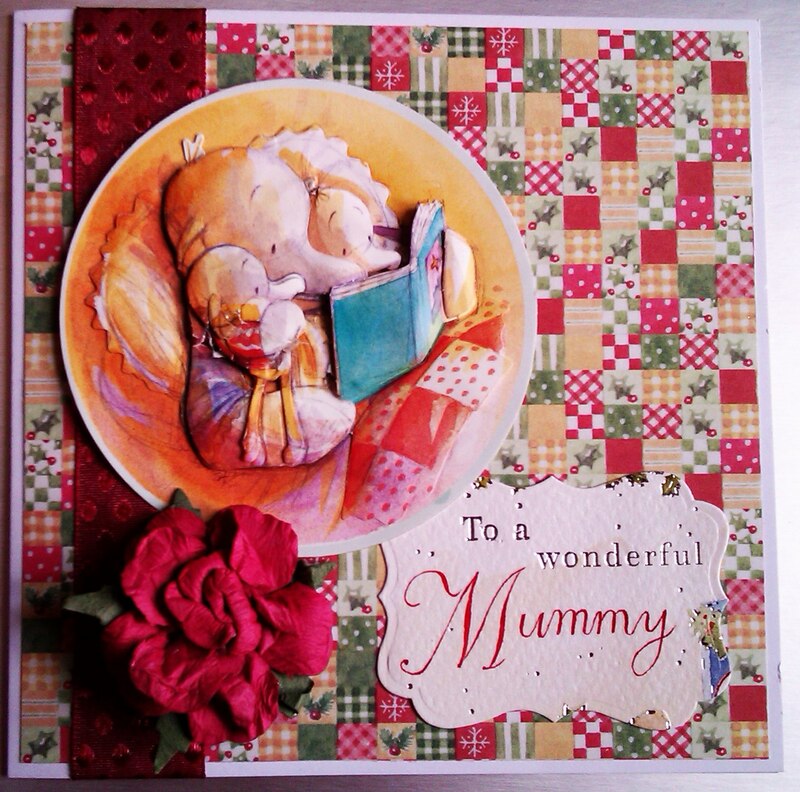 I had such a lovely time making up these DT cards. The digis are wonderful to work with and colour. 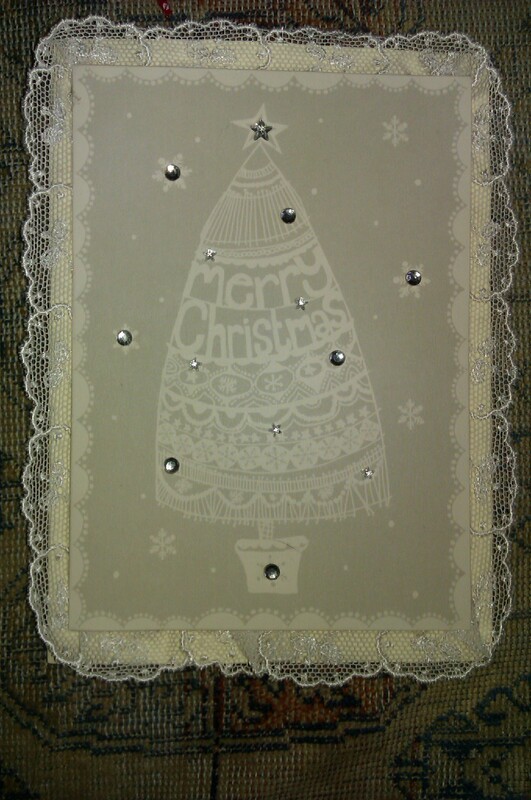 The first digi comes from Glitterbabes and was made into a card using papers from Daisy Trail. Though it was the winter set I loved the way the paper looked like driftwood. I had a happy accident with the printed image that got creased as my daughter climbed over it on the sofa. I screwed up the bottom even more than used the creases as a base for my rocks. 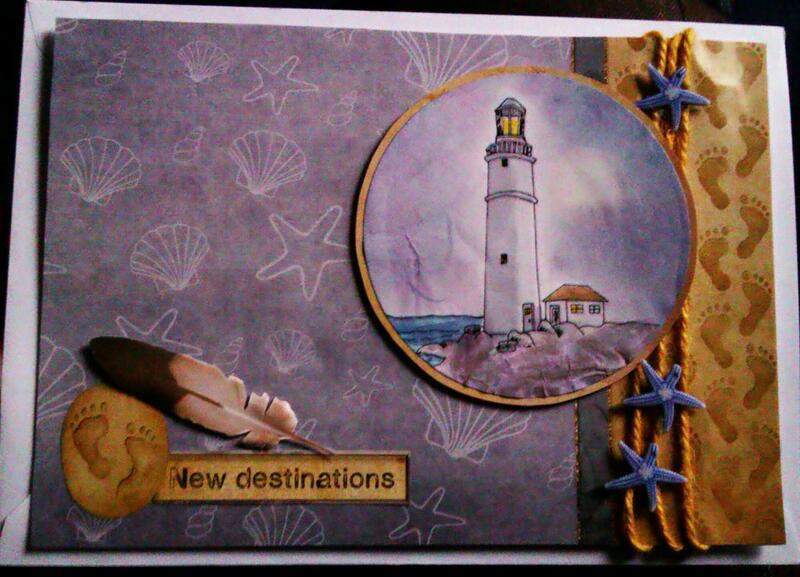 The second was coloured slightly differently and assembled using Debbi More papers and embellishments from one of her inspiration magazines. I love this little mouse digi that is from Floppy Latte I have seen the sentiment used with rain images on a few occasions before, so printed this out using the computer. 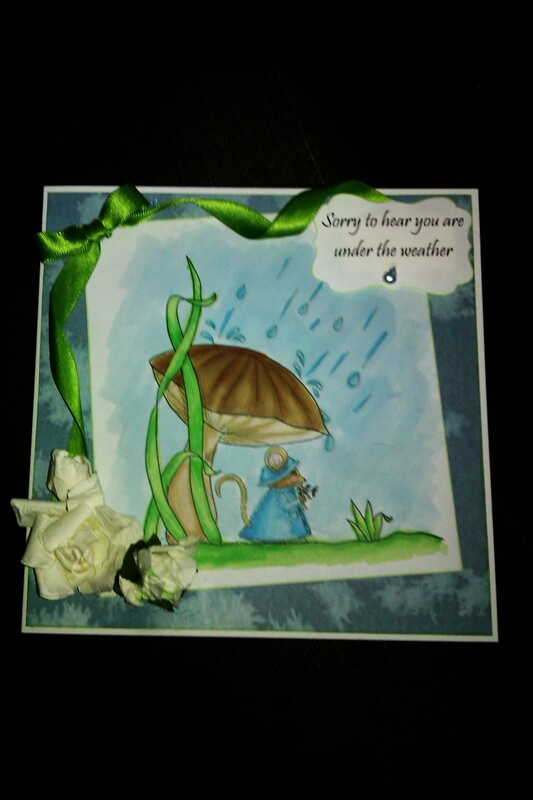 I don’t usuallydo the super embellished cards but I wanted something really special to send to a much loved relative. 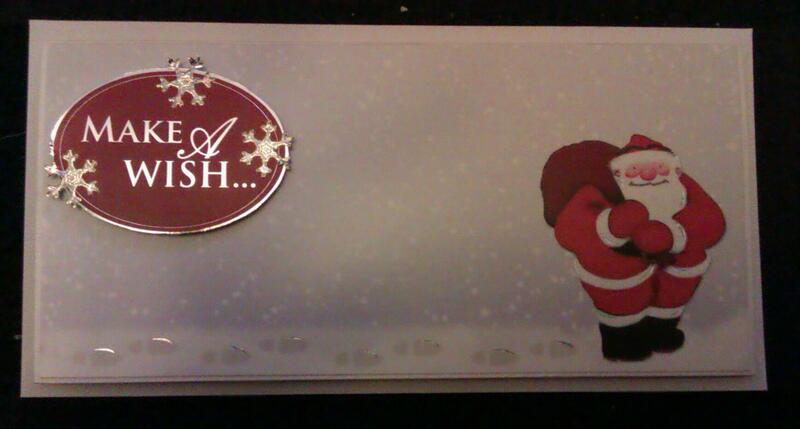 Hope you like the DT cards. 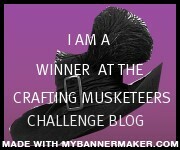 Enter the challenge by clicking the logo to the right. This is a Teddy Bo digi coloured with Promarkers. I was pleased with the translucent effect of the balloons . 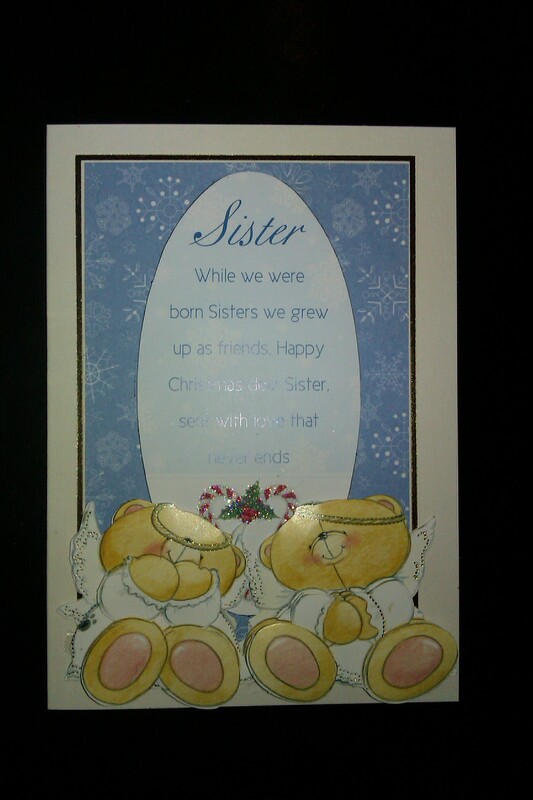 I wanted to keep the embellishments to a minimum so as not to detract from the colouring. 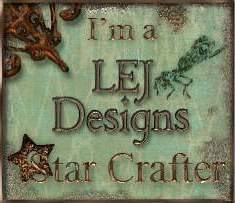 I have started scrapbooking this winter using Serif programs on my new laptop. This was a little play I had with a fun Christmas day pic. 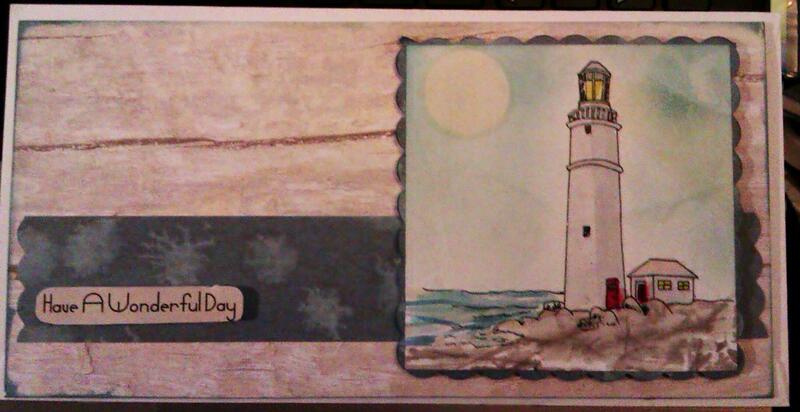 The clocks for this card are from The Cutting Café – I decided to use the time theme to make a belated birthday card. 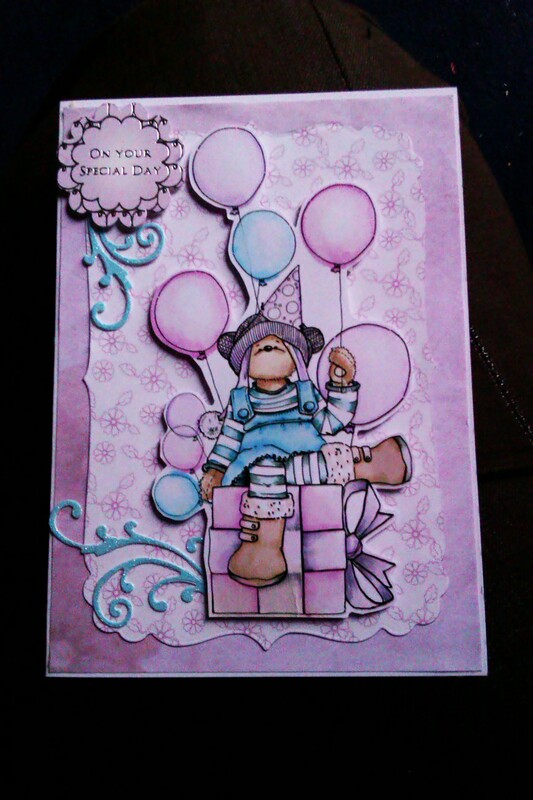 I cut and arranged them and finished with a Steampunk Kanban stamped image called Jasper and some sentiments. This was challenging as I love colour! 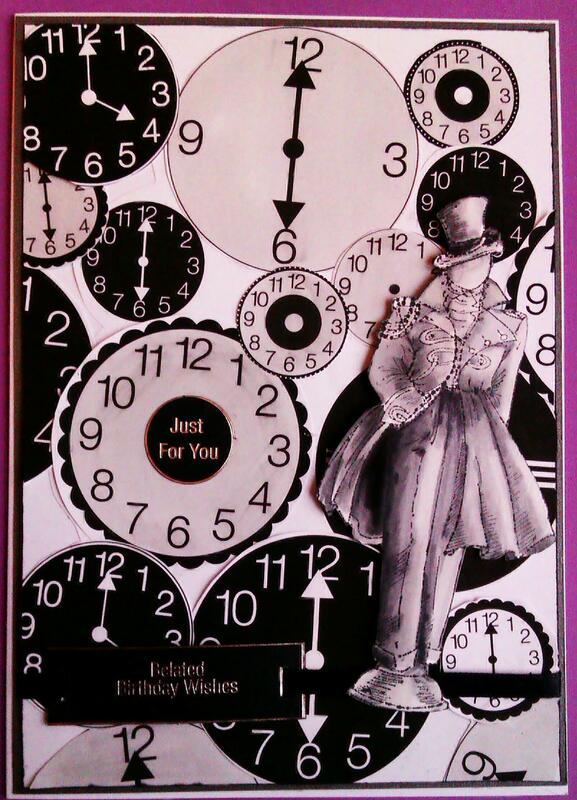 My second card was a cheat as I had to resort to colour but I kept it monotone I used a Cutting Crew clock but covered the face with a thank you sentiment. 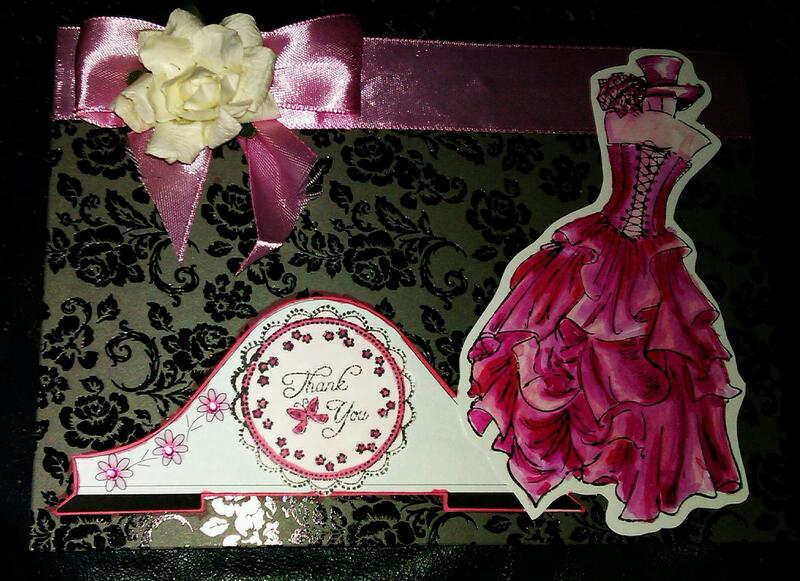 The dressform is from Kanban again. 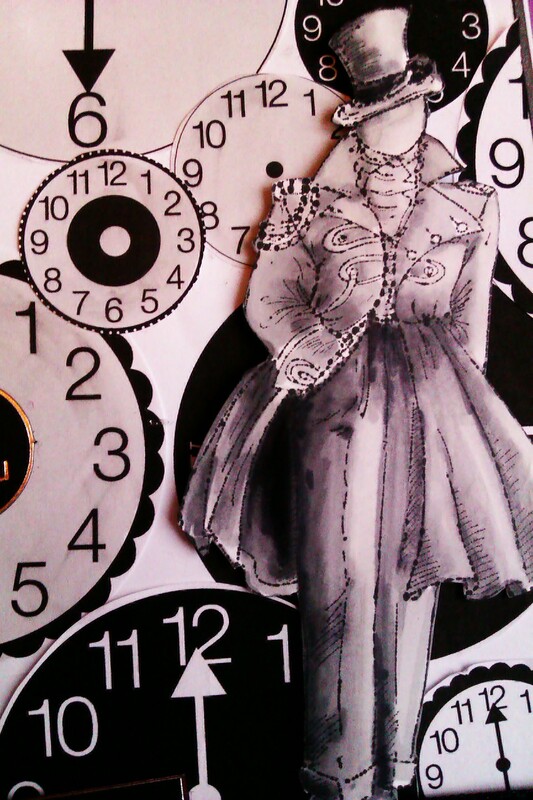 I wanted to use the clocks to link to Steampunk. 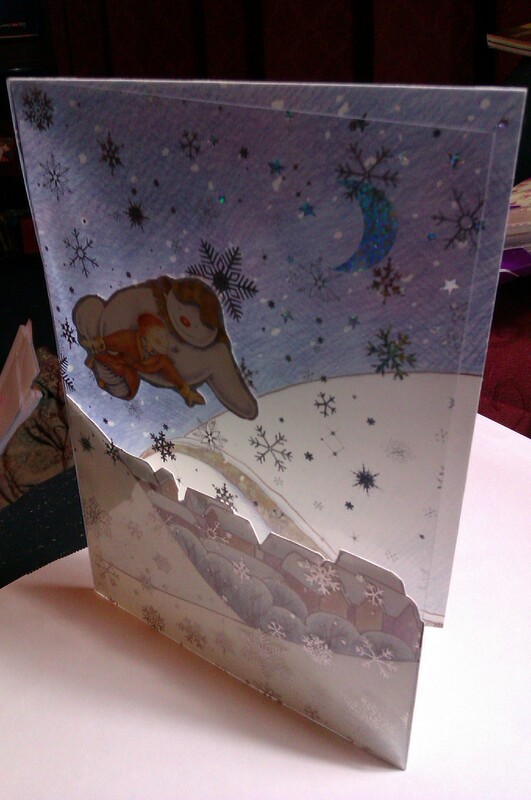 Tried to pick my top 5 Christmas Cards – I ended up with 7. 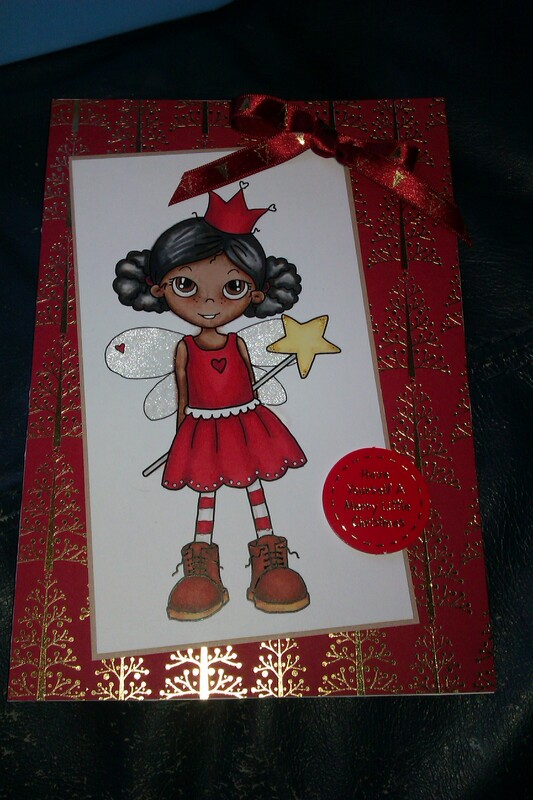 Next year I’ll be making many more Christian Christmas cards – although I made a fair few this year, I didn’t photograph them all as come December I was just trying to make and send. Happy new year to you all! PLease keep reading my posts into 2013.